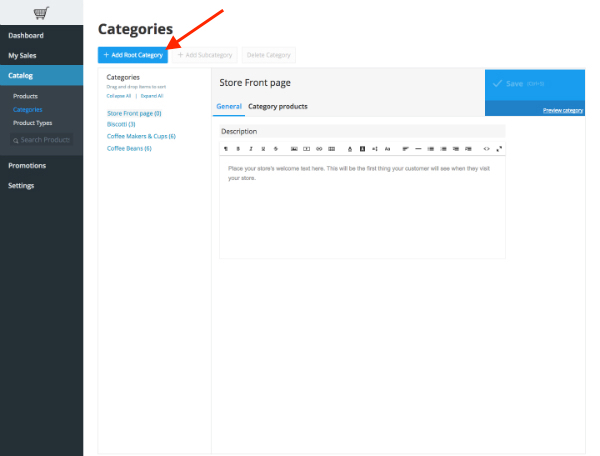 Categories are a great way to manage and arrange your products. They also make it easier for customers to navigate your site and find the products they want. 2. Click Catalog, and then Categories. 3. 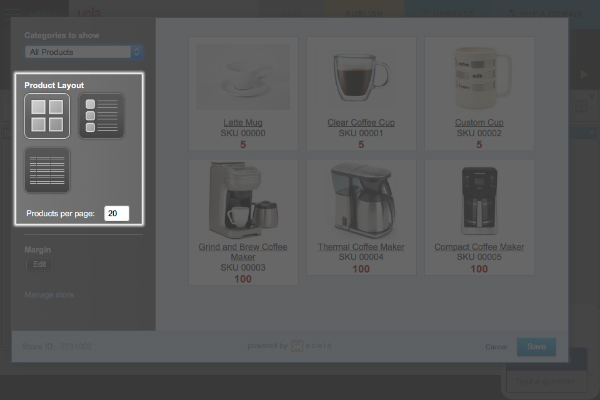 Click +Add Root Category to set up your main category (e.g., "Coffee Beans"). 4. You can also add a subcategory, e.g., "Medium Roast Coffee Beans". 5. While you are setting your categories up, they are displayed on the left-hand side of the dialog box. 6. 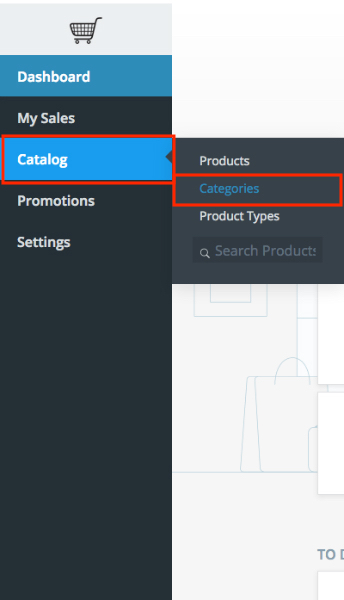 Once you have created your categories, click Category products. 7. You can either Assign Products to Category or Create New Product. 8. When you're finished, click Save in the top-right corner. Categories are also helpful if you plan to use your Online Store on more than one website because you can select which categories to display on your site. In this way, you can offer different products on each of your sites while maintaining a single database of products. 1. Drag and drop the Online Store widget onto your page. 2. Hover your mouse over the widget and click Edit in the top-left corner. 3. Click on the drop-down menu under "Categories to show." 4. Select the category you'd like to have displayed. 5. 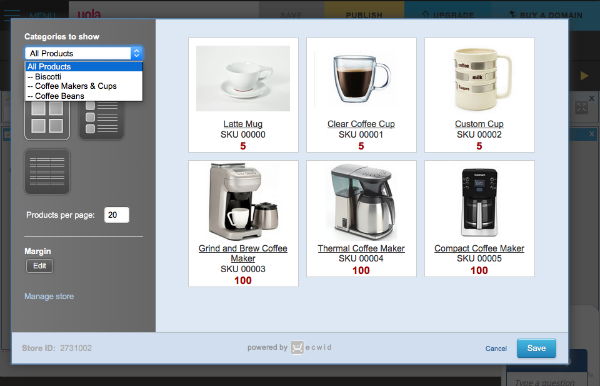 You can also choose your product layout and the number of products displayed per page. Please note: using categories to create separate stores is a workaround. On the back end, it is one store and it is currently only possible to have one store per Yola account. If you need a completely separate store you need to create a new account. Please contact support if you need assistance with this.